My beautiful array of new essential oils from Days Island! Add a few drops to either your shampoo, or directly onto your hairbrush and brush through your hair. I think lavender oil would be great for this - the scent is very calming and it has antibacterial and anti-fungal properties. I love adding a few drops of tea tree oil to my face toner. Tea tree oil is a natural antiseptic, and is great for problematic / oily skin types. It also has a gorgeous refreshing scent. I like to massage my scalp once a week using coconut oil, which promotes hair growth and is highly moisturizing. I sometimes like to add a few drops of rose geranium oil which seems so good! Eucalyptus oil is also great for scalp massages due to it's stimulating and refreshing properties. 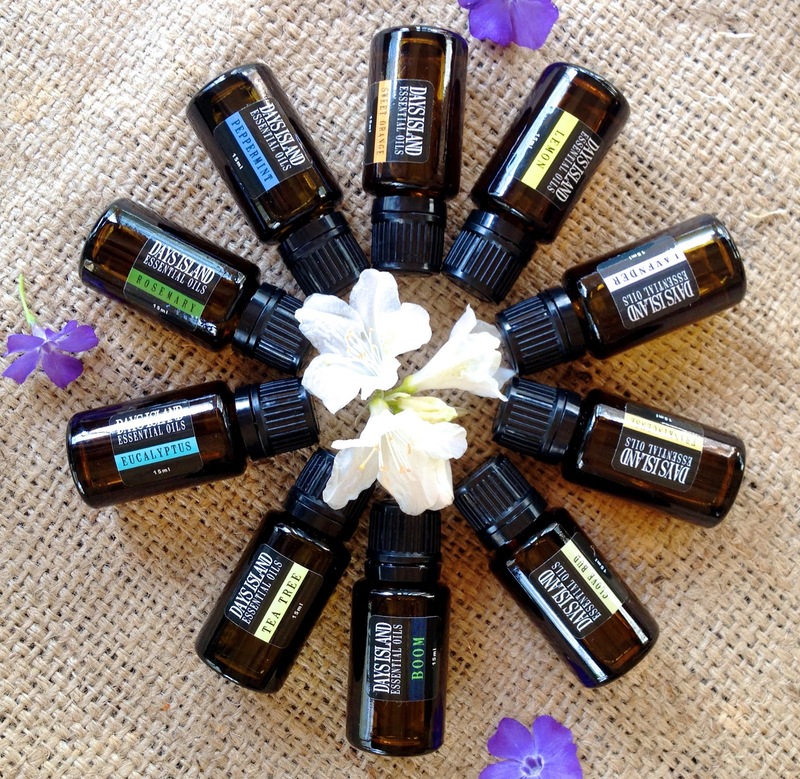 Essential oils can serve as the purest form of perfume! With so many scents to choose from, you can find one which really speaks to you. You could even mix a few together to make a little concoction unique to you! Just dab a few drops onto your wrists and behind your ears. Neroli, jasmine, rose, ylang ylang, eucalyptus and sweet orange are a few of my most-loved "perfume" scents. Every other night I moisturize my skin using either olive or coconut oil. I love the purity and simplicity of pure oil as a moisturizer. No chemicals, no toxins, plus it's affordable and makes your skin feel super soft! Sometimes I like adding in a few drops of either eucalyptus, rosemary, frankincense or lavender. Lavender is especially nice just before going to sleep. I love a good bath! But to be honest, I can't sit in it for more than 15 minutes or so lol but nonetheless, I still love a nice soak once in a while. Add a few drops of your favorite oil(s) and stir it in using your hand. Light a few beeswax candles, play some soft music and relax in your newly-created spa. I love oil pulling for clean healthy teeth. I like to use coconut oil, and sometimes (when I'm feeling fancy) I'll add in a few drops of either clover bud, tea tree or peppermint oil to give it a nice fresh taste. Oil pulling is amazing! It strengthens and prevents disease of your teeth and gums, it also helps your lymphatic system by removing harmful bacteria that can build up around your teeth. This is a new one I recently discovered. Before starting your machine, add a few drops of oil to the liquid detergent and you will be left with gorgeous smelling clothes - minus any artificial perfumes. These are a few of my favorite ways to use essential oils. If you want more ideas on how to use them, or specific information on the benefits of each, check out the Days Island website for great info! Thanks for this information I enjoy essential oil and a great benefit to find a company uses all natural ingredients thanks doll. this is an amazing blog post! i have so many essential oils but sometimes I don't know what to do with all of them! i love the ones you mentioned, I especially love rosemary for a scalp treatment, it stimulates and enhances the color of brown hair. Rose hip and avocado for face moisturizing, grapefruit and coconut cream smell amazing. I don't know how natural they are but I also love beauty oils from Sephora like the Josie Maran oils and Fresh seaberry oil is to die! Thanks for the blog post Annie!!!! Thank you so much for your comments on your new way of life ! Seeing you is really inspiring, I really want to try putting more healthy food into my dairy meals. I love to see your many recepies (drinks and food). If you want to learn new ways of using essentials oils, you must know that essential oils are also good when you are ill (tea tree works great against a cold). You can take them as drops on a liquid, in a tissue or directly on a cube of sugar. You can also use them to protect you from mosquito bite (especialy lavender oil); by spreading some all over your body (mosquitos are repelled by the strong smell). I LOVE my essential oils. For health, beauty, and aroma, they really can't be beat. I use tea tree and lavender oil mixed with green tea as a toner. Even have a diy on my blog for it. Love the advice about using a few drops on your brush, definitely gonna give that a try. Really good tips!! I've used oils to scent my hair (and pillow! ), but these are amazing!!! I've been meaning to try oil pulling, because I've heard so much about it..does any oil work or should it be a specific one? Thanks for the great information on different usage of essential oils. Have you ever tried peppermint oil in your liquid detergent for your clothes? I love your posts recently! I think since you've gone 100% raw you started to post more useful and healthy posts. They are so informative and educative! This is the second time when I save the link to go back and re-read it again :) Keep posting! Great post! I've recently gotten into using essential oils for my acne-prone skin & it's done wonders for it. If you're interested I just posted a video talking about rose hip oil to help me get rid of scars & frequent breakouts ( https://www.youtube.com/watch?v=l-crFR8-Qro) . This is such a lovely post, I've never really explored essential oils so this is really helpful! even though we are a couple of decades apart in age, you inspire me and informing me. I have always been interested in health, fitness, fashion, and personal growth, and I am amazed how someone so young is so far along this path. I have just discovered your channel and I am having a great time going through all of your videos and blog posts. I am loving everything, and even though I am not following a raw food regime, I am definitely incorporating lots of fresh fruit and veggies into my family's diet. Being European myself, I really appreciate your amazing sense of style, and I am looking forward to more style posts too. European women love to dress fashionably! I am going there this summer and can't wait to see what people are wearing there! Lots of hugs to you, Petra from Vancouver, B.C. Canada! I like this post. Thanks for the sharing great information on different usage of essential oils.